As a skilled Director of Photography, Jeremy Schneider has been capturing images on film and videotape for over 15 years. Upon graduating from UW-Madison’s renowned film program, he began shooting and editing local news in Milwaukee, WI. 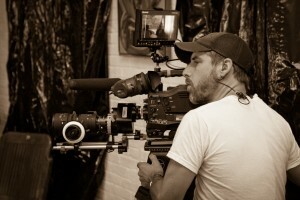 10 years spent at Adrenaline Film Productions in Orlando, FL honed his skills as a technician, artist, and storyteller. In 2005, he went freelance and relocated to New York City, where he became one of the go-to cinematographers in the world of reality television. Although he is based in NYC, Jeremy has operated cameras on six continents, using just about every format available, from DV to 35mm. film. His diverse credit list includes sports, documentaries, corporate infomercials, music videos and high-profile network and cable hits like Survivor, The Apprentice, and The Real Housewives. In addition to being a partner of Blue Juice Films, he has also directed and/or DP’d several High-Definition music videos and short films for the company.